Are your teeth sensitive or stained? Is your mouth in need of a breath of fresh air? 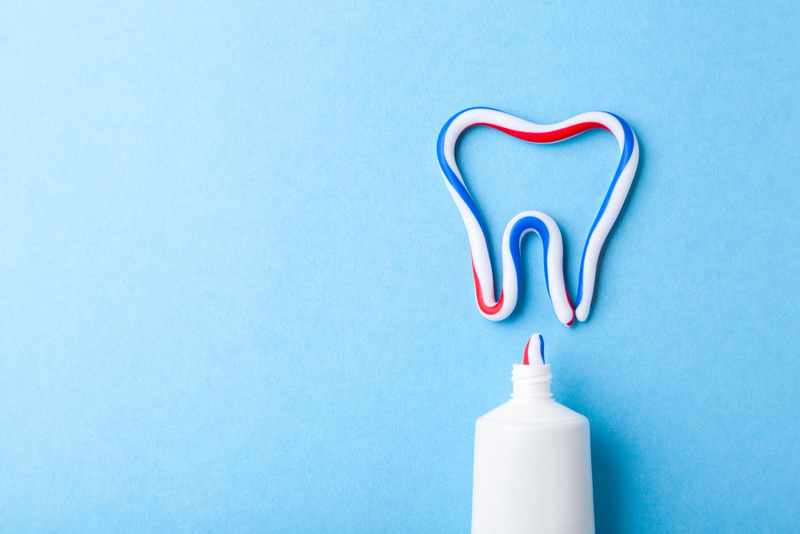 You may not be able to choose what type of teeth you have, but when it comes to picking the best toothpaste to strengthen, whiten, or freshen your smile, the choice is all yours.Selecting a toothpaste can be a bit tricky. Simply browse the following to see which features you’re in need of most and then … get brushing! If you want your teeth to be in tip-top shape, fluoride may be the answer. Fluoride is a chemical compound vital for your dental health. Lucky for you, it is added to most types of toothpaste. By strengthening teeth against cavities, remineralizing teeth worn down by acid, and fighting sensitivity, fluoride will protect and restore your smile. Who is it best for? Children and seniors who are more prone to cavities, as well as communities without water fluoridation. Considering a “fluoride-free” way to fight cavities? Recent science has developed a promising new ingredient in toothpaste called Novamin®. It is specially formulated to match the building blocks of your enamel, allowing it to stop early decay and insulate the sensitive areas of your tooth. Novamin® is not widely available, but can be found in the Sensodyne® Repair and Protect toothpaste. Who is it best for? Anyone over 12 years of age. Contrary to their name, toothpastes with teeth whitening agents don’t actually whiten the enamel of your teeth. Don’t worry; they will still make your smile appear whiter. The scrubbing materials and chemicals in teeth whitening toothpaste will remove surface tooth stains and leave your teeth looking whiter, brighter, and cleaner than before. Who is it best for? Anyone self-conscious about their stained smile (usually due to a lack of brushing or an excess of coffee, wine, and soda). Your tartar build-up has found its match. Tartar control toothpaste will stop dental tartar from accumulating –saving you time while intensifying the sparkle of your smile. Less tartar means less time in the dental check-up chair. If you have tartar build-up, you’ll need to first visit a dentist and have it removed. Once your teeth are clean, you can begin using tartar control toothpaste to keep any potential tartar at bay. Who is it best for? Those struggling with constant tartar build-up. If you don’t take care of dental plaque, you’ll end up with gum disease. Luckily, certain gum health toothpastes can control plaque and prevent dental gum disease. They work by removing the sticky plaque that eats away at your teeth and preventing inflammation. That way your gums don't experience permanent damage over time. Who is it best for? Anyone who is prone to dental plaque accumulation. Though we’ve brushed the surface, there are many more types of toothpastes fit for even the most unique set of teeth. If you still don’t know which is best for you, call York & Bay Dental Office at 905-577-0770 to learn more and start smiling sooner.